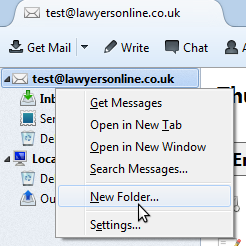 Click the 'Settings...' option from the context menu. In the Left-Hand menu, open the section for the appropriate account (if not already open), and select 'Server Settings'. 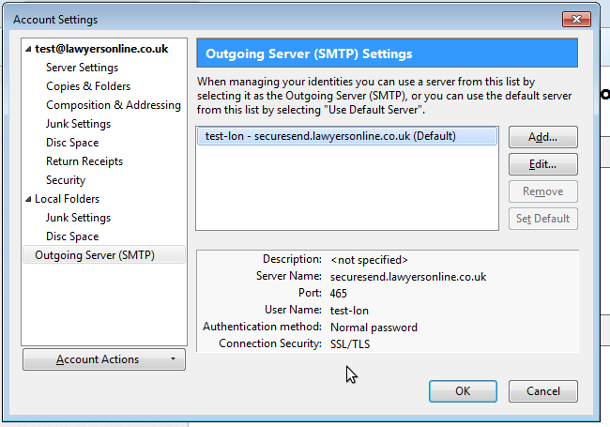 Ensure that the 'Server Name' is set to securecollect.lawyersonline.co.uk. Set 'Connection Security' to 'SSL/TLS' Note, the 'Port' setting will automatically change, this is normal. 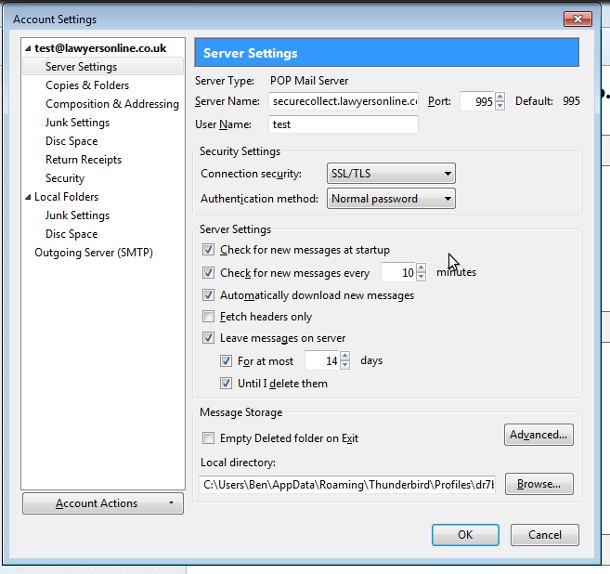 In the Left-Hand menu, select 'Outgoing Server (SMTP)'. You cannot enter a Password here. Thunderbird will ask for this later. 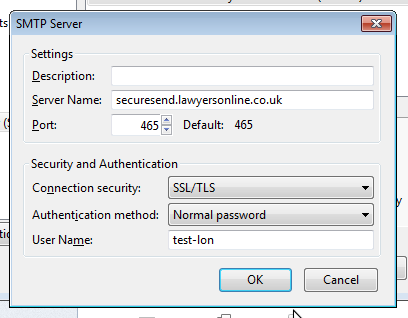 Ensure that the 'Server Name' is set to securesend.lawyersonline.co.uk. Enter your Email account Username into the 'User Name' box. Perform a 'Get Mail' in the normal manner. The first time you do this after changing the settings, Thunderbird will prompt for a Password. Enter your Email account Password into the 'Password' box.